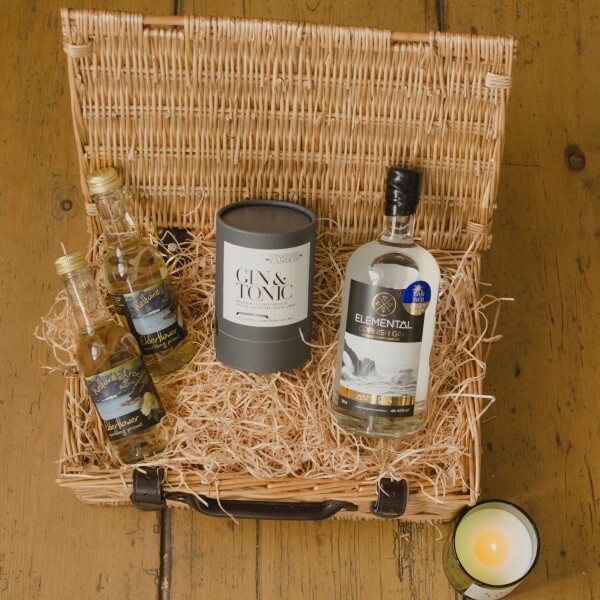 The perfect way to treat the gin lover in your life this Christmas!! 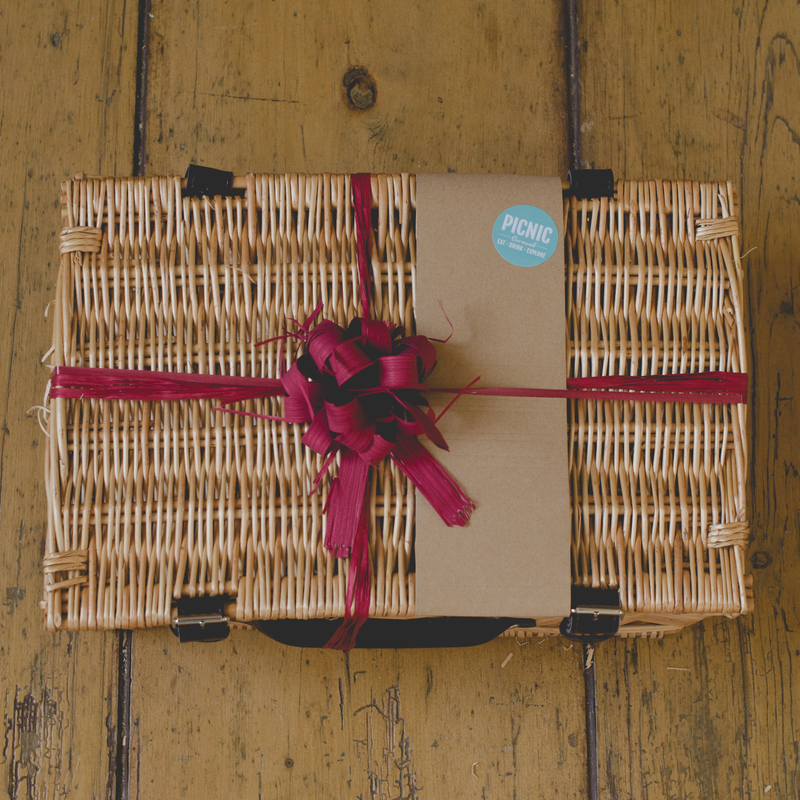 This hamper is a triumph in gin. 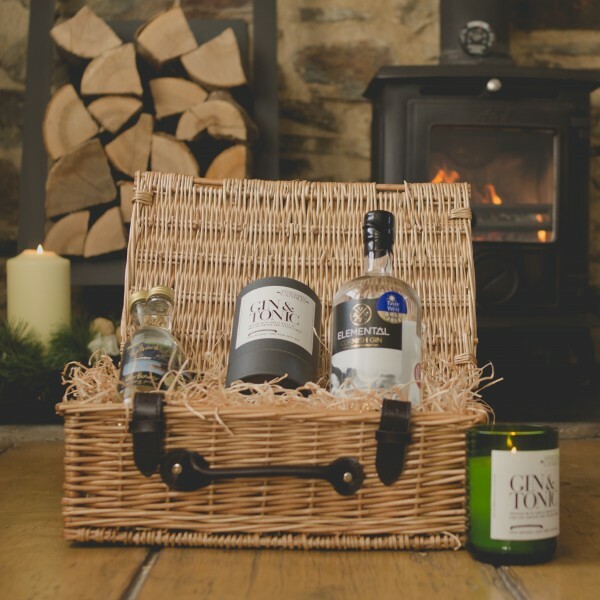 A bottle of Elemental Cornish Gin, two bottles of Helford Creek Elderflower Pressé and an amazing Cornish Gin and Tonic Candle by Vineyard Candles all wrapped up in one of our beautiful wicker hampers. Elemental was one of the first gins to be exclusively distilled and bottled in Cornwall in over 300 years. Elemental is produced in small batches, handcrafted in a traditional copper still using locally sourced Cornish spring water and a closely guarded list of twelve of the finest botanicals sourced from around the world. It is quite simply the premium quality product you deserve. Helford Creek sparkling elderflower & lemon presse is made in the early Summer with fresh flowers picked on the owners 18th century farm and mixed with their own pure spring water and fresh lemons. Green Glass vineyard Candles is all about making great looking, useful things from recycled glass. Used wine bottles are used to make the container for this divinely scented Gin & Tonic candle.